LAZY-HANDS Thumbs-free grip for your iPhone, Smartphone, Cell Phone. The original and finest quality grip available! Designed ergonomically to help you hold your phone very securely to prevent accidental drops. Allows you to go one-handed, Thumbs-Free® and extend your thumb reach. Helps prevent pinky deformation and aching. Aids in keeping hand still while taking selfies and video. Grip can be used as a kickstand by bunching up bottom end of the grip and re-applying to loop-adhesive-strip. A perfect solution for secure handling of the Samsung Galaxy S8. An excellent aid for arthritis sufferers, stroke patients, hand therapy patients and those living with multiple sclerosis, Parkinson’s Disease, carpal tunnel syndrome and other nerve-related injuries to accomplish activities of daily living. Wear your phone grip on the back of your hand like a ring and suddenly you have a free hand to grab your keys, beverage or other necessities. Includes 1 2-loop thumbs-free grip and 1 adhesive-backed loop strip. 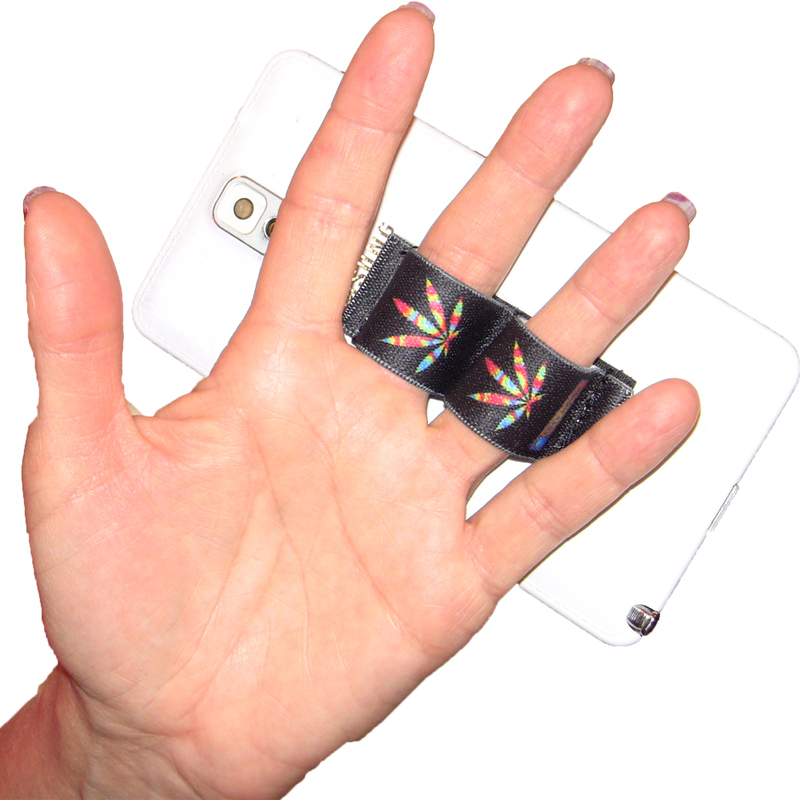 Applies to your mobile gear or its case with an acrylic adhesive hook-and-loop design that is easily removable. Small – fits children and those with very small hands and very slender fingers. Fits Most – fits most teenagers, young adults, women and men with medium-size hands and fingers. XL – best fit for extra-large-sized hands and thick fingers.